If you are looking for a free and easy quilt pattern to use up your scraps of fabric be sure to check out the Free Scrap-Chain Quilt Pattern. Create the quilt by using light colored background with a darker border fabric. Combine it with your favorite bright colored fabric scraps to complete a finished 47" x 67" afghan which would be a great addition to baby's room, bedroom, sofa or as a gift. 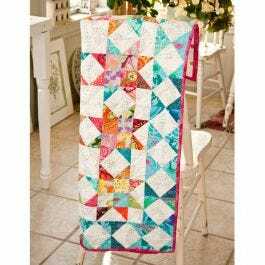 Download the FREE Easy Scrap Quilt Pattern Here.